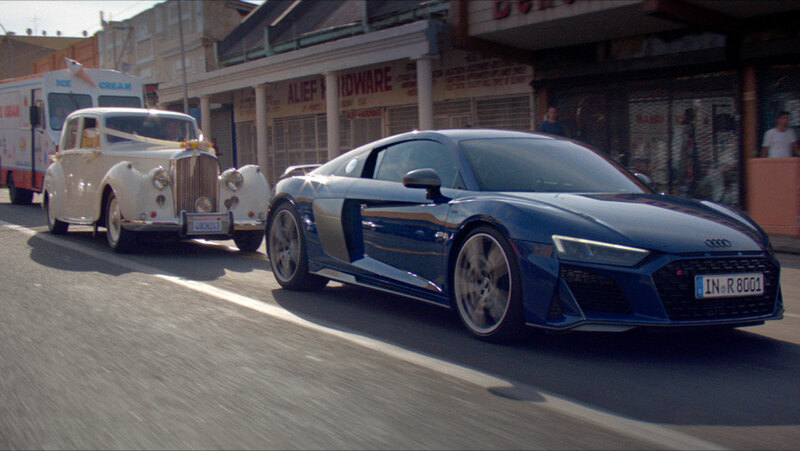 To mark the launch of the much-hyped new Audi R8 this week, BBH London has created a global campaign that shows it's not just a pleasure to drive, but a pleasure to follow. Set to a cover of The Carpenters' classic Close to You, by singer-songwriter Reneé Dominique, the 60-second spot sees the R8 serenely making its way through town tailed by an ever-increasing entourage of vehicles and drivers, from a bridal party to an ice-cream truck, all craning their necks and flooring the accelerator to get a glimpse of the sports car. It's a clever nod to the truism that we all hate being overtaken - except when it's an Audi.